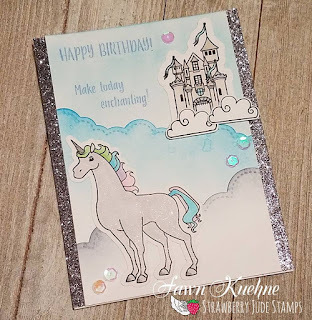 ☆ Fawntastic Creations ☆: Make Today Enchanting! 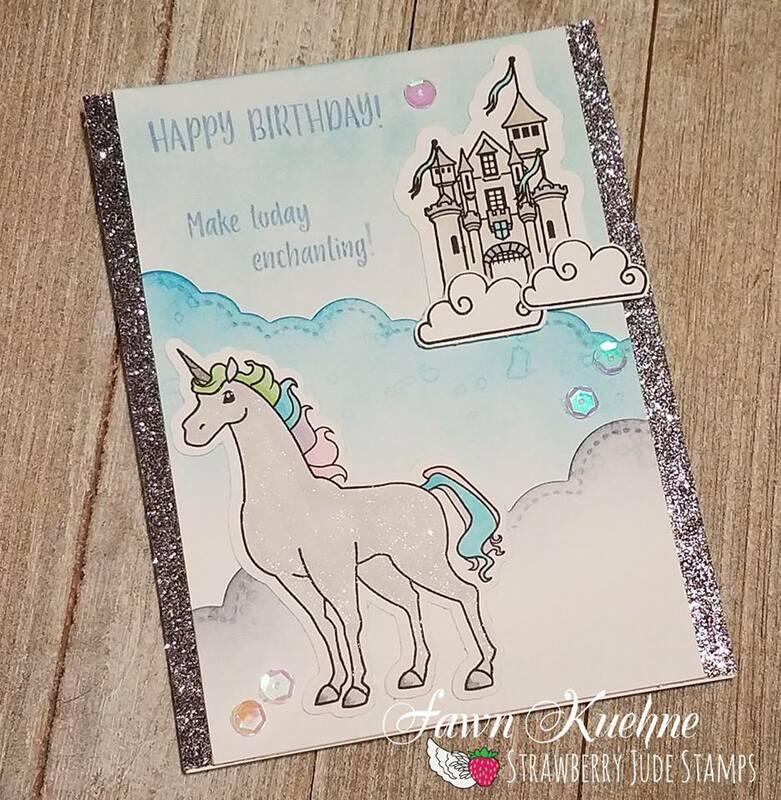 I stamped both of my images from Strawberry Jude Stamp set Unicorns and Sparkles. I colored them with copic markers and cut them out with my silhouette. 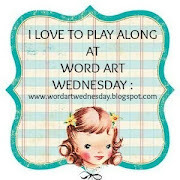 For the base panel I used a Lawn Fawn puffy Cloud border die to create a background. I used three different shades of blue distress to make the layers clearly visible. I stamped the sentiment on the bottom panel and then attached the pieces with the cloud border to it. I trimmed the sides down a 1/4 of an inch. I used glitter washi tape on each side of my card base to add some sparkle to this card. I added my images a few iridescent sequins. This card turned out better than I had imagined!